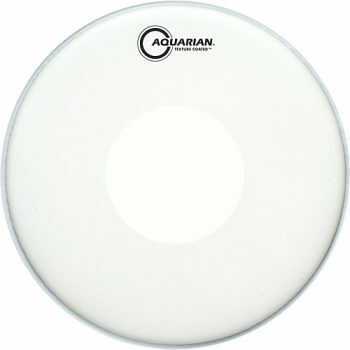 The Aquarian Texture Coated with Power Dot is a versatile snare drum head. A controlled sound when struck in the centre, and more sustain with fuller overtones when struck towards the edge. 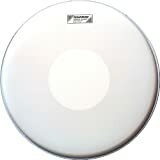 This is a great drumhead that can be used across a wide range of drumming volumes and styles. The Aquarian Texture Coated with Power Dot is made with a single ply of 10mil coated film, and a control dot on the underside of the head (the “Power Dot”). The control dot gives a more focused sound, meaning that some of the ringing overtones are reduced when this head is struck in the center. 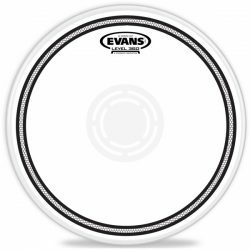 This snare drum head has a good attack and extra durability, while retaining the responsiveness that single-ply drumheads are known for. The Aquarian Texture Coated with Power Dot is a well balanced head, and the overall sound is slightly on the warmer side thanks to the the textured coating. This drumhead can provide a good attack and nice projection, with the power dot adding a little extra pop and focus to the attack. 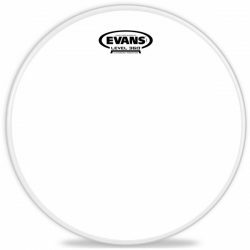 On snare drums, the Texture Coated with Power Dot is quite versatile… When hit in the center, this drumhead gives a little more focus to the sound compared to the regular Aquarian Texture Coated. The power dot also means that there is a little more pop. Hit around the edge, you can get a nice range of colourful tones, which is great for adding some more interesting accents to your drum sound. Tuned to higher tensions, the Aquarian Texture Coated with Power Dot gives a cutting crack with a moderate sustain. At low tension, the sound is punchy and fat, and can benefit from a little dampening (depending on your personal taste!). The combination of the top coating and control dot helps to remove some of the higher pitch ringing, and takes away some of the bright edge at medium and lower tensions. At all tuning ranges, however, the sound remains quite lively. While the control dot means there is less sustain, overall this is still a relatively open sounding drumhead. This means you have a lot of drum sound options: Leave this drumhead open for a longer ring, or add dampening for some extra control. 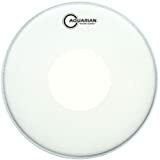 The 10mil single ply means that the Aquarian Texture Coated with Power Dot is a responsive snare drum head. This head will respond well to lighter touches and ghost notes, allowing you to play comfortably at quieter volumes. The power dot also means that you’re able to hit harder and produce a bigger sound when things get louder, with a good attack to cut through. 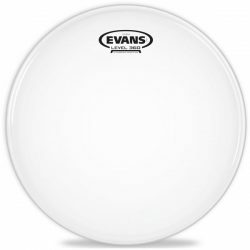 This drumhead is great across a wide range of volumes, giving it extra points in the versatility department. The power dot also adds an extra layer of protection against heavier hitting. 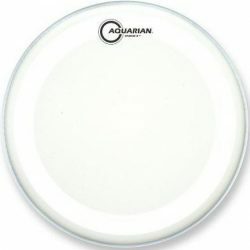 The Aquarian Texture Coated with Power Dot is durable for a single ply drumhead, allowing you to lay into it if you need to, without worrying too much about damage. 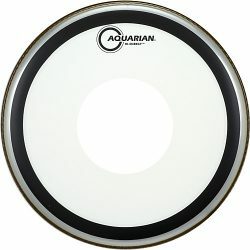 If you’re looking for a versatile drumhead that can be used across a range of volume levels and music styles, the Aquarian Texture Coated with Power Dot is a great choice. This drumhead will give you a range of sound options, while reducing some of the ringing that single-ply drumheads are known for. The control dot is on the underside and the coating is nicely textured, meaning this drumhead is also great for playing with brushes. 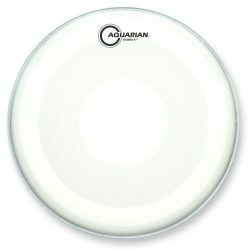 The Aquarian Texture Coated with Power Dot is made for snare drums, and comes in 12″, 13″, and 14″ sizes.